When you're making your college dorm checklist, you're thinking about everything you need to be super comfortable while at college. Of course you want to get a quality night's sleep night after night. You've decided on some pretty dorm bedding that adds to your dorm room decor while keeping you super cozy. You've found sink in soft dorm bed toppers and mattress pads and happily invested in a dorm bed bug dorm mattress encasement. So you think you're pretty set for a great night's sleep. Picture yourself relaxing in that super cozy dorm bedding you just put together. You have everything you need for a super cozy quality night's sleep every night. Except you don't because you're missing a dorm essential! 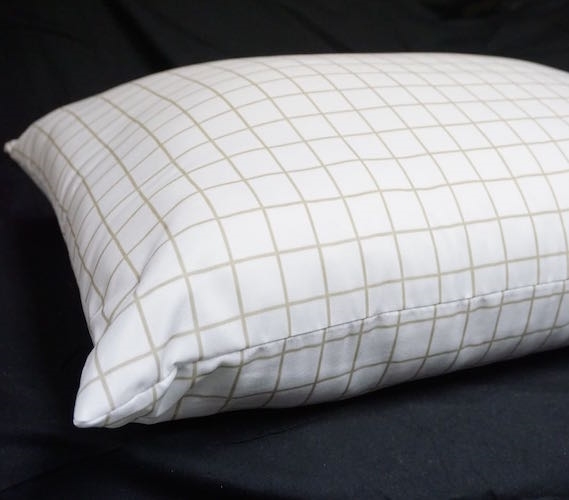 Don't go to college without our Basic Essential Microfiber Pillow! You're probably saying 'DormCo, you're silly, I can't possibly forget about a college pillow!' Except it is possible. When you're thinking of all the college supplies you'll need for your dorm room, it can be easy to forget even the simplest dorm items. In fact, it's usually the simplest dorm necessities that you will forget. You'll remember the odd dorm items that you never thought about before like a Twin XL Dorm Bed Bug Mattress Encasement, but the dorm items you use everyday can be easy to forget. And our Basic Essential Microfiber Pillow is a dorm essential you will not want to forget - trust us. This is no ordinary college pillow as this is made of supersoft Microfiber. This college pillow will be super comfy and give you the great head and neck support that you need.